This villa of approx. 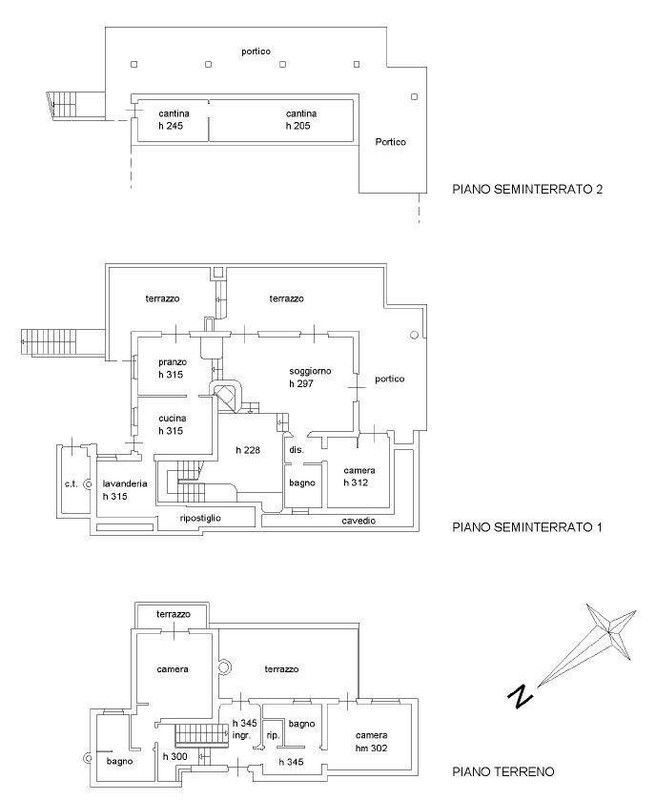 230 sqm has breath-taking 180 degrees view of Lake Maggiore. The property is laid out over two floors and has an excellent exposition having sun all day long. From the entrance there is access to two double bedrooms, two bathrooms, storage and a spectacular terrace overlooking the lake. On the lower floor there is an office area opening out on to the vast sitting room with dining area and open fireplace, separate kitchen with pantry and laundry room, another bedroom and bathroom. There is another wrap around terrace which is partly covered making an excellent area for al fresco dining. The lake is visible from almost every room and there are terraces of approx. 105 sqm. The two car garage is opposite together with another plot of land large enough to create a pool and garden/vegetable garden. Below the villa are two large cellars with a portico area.